Your WordPress website may not be set up correctly to give you the best chance to get the most traffic from Google. With the WordPress SEO tips below this will help you improve your traffic. If you could implement at least a couple of the tips that would be great for you and would also make us happy!! 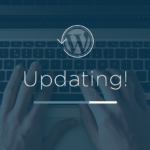 There are a range of WordPress plugins that will help you to optimize your content and it’s really essential that you use one. You could use Scribe, WordPress SEO, Inbound Writer, All in one SEO or a range of other plugins but you should have at least one installed. 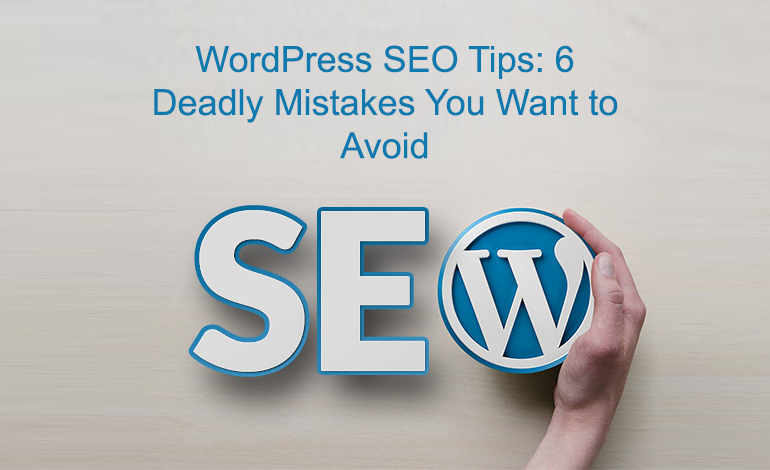 The one we currently use is WordPress SEO by Yoast. When you create a post you specify ‘focus keywords’. These are keywords you want to rank on. When you write your content this plugin does an analysis of your content to see if it’s optimized correctly. It will then tell you the areas that you need to resolve. In the image above you’ll see the items in green are good and items in red are issues you need to resolve. Even if you are not familiar with SEO this will help you significantly. Action: Figure out the best plugin to use and install it. Here’s an article which does a comparison of Scribe versus WordPress SEO. An XML sitemap is like a table of contents in a book. It provides a breakdown of the pages of your website and lets Google know how often this content is likely to change. If you don’t have an XML sitemap Google will still crawl through your site to index your pages but it may miss some. For example, imagine if you had a page on your website that is not linked to from any other page on your website. This is a page that Google might miss. If you build an XML sitemap this will include all the pages on your website that you want to index and it will provide additional information to Google such as how often you want Google to re-index the page. If it’s a static page that’s not going to change very often then maybe you only want to re-index it every couple of months! Here’s an example sitemap. XML is a markup language similar to HTML. What you see below is not XML, but this is how Google interprets the XML. In the image above you specify the page to be indexed, the priority (listed as ‘Prio’ in the table above), images on the page, how often you want it indexed and the date the content was last changed. Action: Make sure you have an XML Sitemap. You can use the WordPress SEO plugin which will build one automatically or other XML plugins. Bonus Point!! – If you have a lot of video on your site then it’s worth considering a Video Sitemap. Optimizing your page is only part of SEO. The second major part is getting links to this content. When you write a post you should go to Google and search for content related to this post on your site. Now go to these pages and link to your new piece of content. It makes sense to go back and link something in this article to my new article. This will help to make sure Google indexes it and will also give it a little link juice! It’s good to keep your site nice and tidy. There are some pages that shouldn’t be indexed. For example, when someone becomes an email subscriber we bring them to a thank you page. It makes no sense to index this page as it provides no value to a user. Action: Don’t index pages if they don’t provide any value if someone finds them in search results. Imagine you provided business consultancy services and you would love to rank on page one of Google for ‘Business Consultancy’. So you write a blog post and the page name is: www.razorsocial.com/business-consultancy’. If the blog post is not particularly special then you probably won’t rank on such a highly competitive keyword. So instead you create an amazing guide on business consultancy and you heavily promote it and you place this guide on the page: www.razorsocial.com/business-consultancy. You then get links from many places on the web for this guide so now you have a much better chance of ranking for this content. Action: Really think about your keywords and how you are going to rank on them. If they are important then you need really great content! It’s really important that you give your content the best chance possible of being found on Google. You can make some changes outlined in this article that will help significantly. 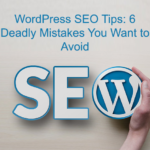 Are you going to implement the WordPress SEO tips? Are they useful?